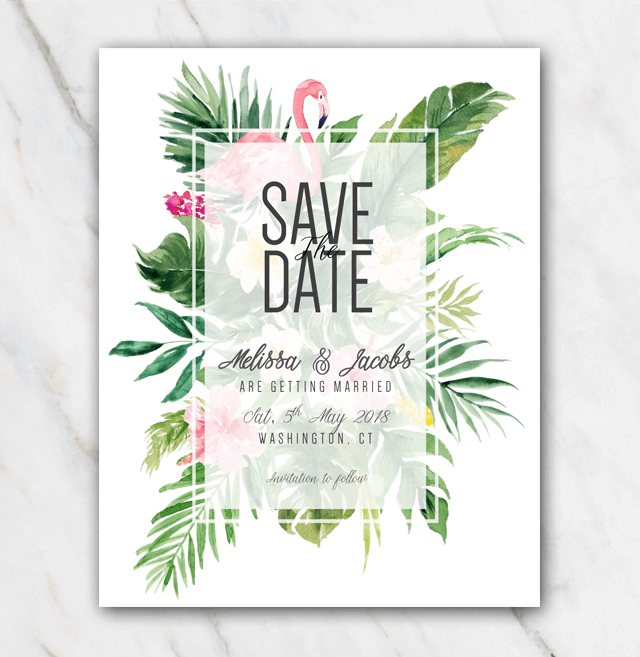 Such a vibrant wedding save-the-date template with all different elements: plants, flowers, flamingos, you name it. Perfect when you are planning a tropical or summer themed wedding. You'll definitely amaze your guests with this save-the-date. Looking for something else, e.g. a more classical wedding save-the-date? You can find other wedding save-the-date templates on my website right here.